Fifteen-year-old Gwendolyn M. Drummer was a student at Harry Ellis High in Richmond, California, when she was admitted to Doctor's Hospital of Pinole for a safe and legal abortion, to be performed January 28, 1972. Her doctor chose the saline abortion method. Gwendolyn's doctor injected the saline into her uterus. It got into Gwendolyn's blood stream, just as British, Japanese, Soviet, and Swedish doctors had repeatedly warned it could do. Gwendolyn suffered organ damage. She developed pneumonia, and died on January 31. I've been unable to pinpoint the date on which these women lost their lives to abortion, but I still want their lives and deaths to be remembered, so on this last day of January, here are the unspecified January deaths. Priests for Life posts a list of women who have died from legal abortions, including Rosael Rodriguez, who died in January of 1986 at the age of 27, according to Social Security. She had been born on April 2, 1958. Priests for Life cite a March 5, 1992 article in the Virgin Islands Daily News. They cite one other death, that of Diane Adams, from that article. A coroner's inquest into the January 30, 1893 death of Bertha Kern at St. Mark's Hospital in New York concluded that she had died as a result of an abortion performed on her by midwife Caroline Kraft. The conclusion was based on statements made by Bertha prior to her death. Her lover, Franz Steinbrenner, was exonerated. Rose Lipner, age 32, mother of 2, died at Riverdale Hospital on January 29, 1936. Dr. Maxwell C. Katz, who lived at Riverdale (maternity) Hospital, which he operated, signed a death certificate indicating that Rose had been operated on for a tumor. After the funeral, an anonymous caller notified police that the death was suspicious, and Rose was exhumed for an autopsy. The medical examiner determined that Rose had died from an abortion. Katz was arraigned for second-degree manslaughter. On January 29, 1858, Mahitable Ash got a mysterious telegram telling her to go to the home of Dr. William Howard. Her twin daughters, Olive and Olivia, who were supposed to be visiting the widowed mother of Olive's suitor, had instead gone to Howard's home for Olive to undergo and recover from an abortion. Olive died in the evening shortly after her mother's arrival. Today's anniversaries run the full gamut of abortion deaths, from the self-induced and lay abortion to abortions performed by doctors both before and after legalization. On January 28, 1867, Elizabeth E. Kimball died at her home. Elizabeth was a war widow, whose husband had been Lieutenant Colonel Edgar Allison Kimball of the 9th New York Volunteer Infantry Regiment, also known as Hawkins' Zouaves. 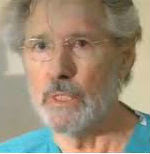 Dr. George Beakley was held responsible for her fatal abortion. On January 28, 1911, 18-year-old homemaker Lillie Hirst died in Chicago from an abortion that had been perpetrated less than a week prior. Dr. Aldrich and Mrs. Treshelling were held by the Coroner's Jury and indicted, but the case never went to trial. On January 28, 1918, 27-year-old Annabella Lewis, a homemaker, died in at West Penn Hospital in Allegheny County, Pennsylvania. The autopsy concluded that she had performed a self-induced abortion using slippery elm bark. Sometime in early January, 1947, Iva Rodeffer Davis Coffman performed an abortion on Kerneda C. Bennett, resulting in her death on January 28 and leaving her husband, J. Raymond Bennett, a widower. Kerneda, though living with her husband in Harrisonburg, was pregnant as a result of an extramarital affair. She asked her friend, Irene Davis, to help her arrange the abortion. Evangeline L. McKenna was 38 years old when she checked into Cedars of Lebanon Hospital in Los Angeles for an abortion and tubal ligation. Two days after the procedure, she had a seizure. She stopped breathing and went into cardiac arrest. Doctors told the family that Evanegline was brain dead, but they held out hope and asked that she be put on life support. On January 28, 1974, after twelve days on life support, Evangeline was pronounced dead. Evangeline's death, in addition to being a tragedy for her family and loved ones, also highlights the disproportionate damage that legal abortion causes among Blacks in the United States. Though black women are only 13% of the female population in the US, and though they are more likely than white women to oppose abortion, they account for a full 35% of legal abortions reported. Black women, like Evangeline, also account for fully 50% of reported legal abortion deaths. "I cry every day when think of how horrible her death was." On January 24, 1987, 37-year-old Belinda Ann Byrd had a safe and legal abortion performed by Stephen Pine at Inglewood Women's Hospital in Los Angeles, California. Belinda was left unattended for three hours after the abortion, and was found unresponsive. Staff at Inglewood delayed an additional two hours before transferring her to a hospital with appropriate emergency services.Belinda was one of 74 women who had abortions in Inglewood's single operating room that day, and one of 24 whose abortions were performed in the final two hours of the day. Belinda remained comatose until her death on January 27. Other women known to have died after abortions at the Inglewood facility include Kathy Murphy, Cora Lewis,Lynette Wallace, and Elizabeth Tsuji. On January 26, 1920, 23-year-old Lydia Swanson, daughter of Swedish immigrants, died at Chicago's Post Graduate Hospital from an abortion perpetrated by Dr. Rosa Gollnick. Gollnick was arrested on January 27 and went to trial, but was acquitted on June 18. Clara Thornton survived her abortion at the hands of Santa Barbara abortionist Lois Brown, but her roommate, Lucy Sanchez, who used the same abortionist just a week later, was not so fortunate. She died on January 26, 1956. Brown was convicted of both abortions as well as murder in Lucy's death. Ingar Weber, age 28, died January 26, 1990, in a Louisiana hospital. She had been treated for acute kidney failure after a safe and legal abortion performed at Delta Women's Clinic in Baton Rouge on January 20, 1990. Ingar's family sued the clinic and its doctors, Richardson P. Glidden and Thomas Booker. They faulted the doctors with failing to diagnose Ingar's kidney problems, or her deteriorating physical condition, before, during, or after the abortion. Delta had also been sued following the death of another abortion patient. This woman was most likely 27-year-old Sheila Hebert, who died after an abortion on June 6, 1984. Delta was sued for an abortion performed in 1984 which left the patient with a uterine laceration and a retained fetal leg. She had to be hospitalized. Delta was sued after an abortion in 1974 that so badly damaged the patient's uterus that she needed a hysterectomy. Another patient reported that after surgery at Delta in 1998, she had to have a colostomy. Delta shut down in 2001 after an electrical problem caused a fire which gutted the facility, but later reopened in another building. Police and health officials announced an intention to investigate the death of 37-year-old Alexandra Nunez after an abortion performed at A1 Medicine in Jackson Heights, Queens on Monday.A year after her death, however, nothing has been said or done. Operation Rescue describes the facility as "located in a run-down building in a predominately Hispanic neighborhood," and was operated by Salomon Epstein. I've been so wrapped up in my research that I've totally forgotten to post for the past two days. There are no anniversaries in the Cemetery of Choice for today, the 24th, so I'll commemorate the women I missed blogging about on the 22nd and 23rd. On January 22, 1900, Mrs. Barbara Shelgren, age 25, died at Augustana Hospital in Chicago of an abortion performed there that day. Paulina Bechtel, identified as a midwife, was arrested and held by Coroner's Jury and indicted of homicide by a grand jury, but the case was thrown out by Judge Holdom. Bechtel was implicated in the abortion death of Ida Henry in 1900, and went on to kill Mary Thorning in 1911. On January 23, 1914, 17-year-old Helen Kleich, who worked as a domestic, died in Chicago from sepsis, arising from an abortion performed that day by midwife Margared Wiedemann. Wiedemann was held by the Coroner for murder by abortion, but was acquitted. On January 22, 1925, 17-year-old Jean Cohen, a Connecticut native, died at Chicago's Montrose Hospital from an abortion performed earlier that day. On January 31, Louise Hagenow was arrested in Jean's death. 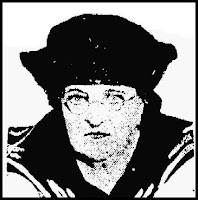 Louise Hagenow was an alias of Dr. Lucy Hagenow (pictured), whose known or suspected victims included Marie Hecht, May Putnam, Lola Madison, Annie Horvatich, Lottie Lowy, Nina H. Pierce, Bridget Masterson, Elizabeth Welter, and Mary Moorehead. The January 22, 1980 death of Vanessa Preston stands out because, if you are willing to grant that Curtis Boyd (pictured) actually thought abortion was legitimate medical care, he can't be faulted at all for how he handled the case. Boyd was performing a second-trimester D&E on Vanessa when she suddenly went into cardiac arrest. He had emergency procedures in place, which he and his staff followed, managing to resuscitate Vanessa and have her promptly transported to a fully equipped hospital, where efforts to save her failed. She had developed a clotting disorder -- something that just happens sometimes in abortion or childbirth -- and bled to death from a small liver laceration that doctors at the hospital didn't realize had happened during CPR. The laceration was just one of those complications of CPR and not a sign that it was performed improperly. Boyd wrote up a case study for a medical journal to inform other abortionists of this tragedy and to alert them so that if these complications happened to their patients, perhaps those women could be saved. On January 21, 1919, 26-year-old Wanda Skrzypzak died at Chicago's St. Elizabeth's HospitalMichael Rozumski and Dr. John P. Wojtaleiwicz They were held by the Coroner for intentional manslaughter by abortion on January 22, and were indicted on February 15, but the case never went to trial. There were allegations of police corruption associated with the case. On January 21, 1961, Dr. Mandel M. Friedman contacted a Queens undertaker, asking him to arrange burial for 23-year-old Vivian Grant of New York. Friedman told the undertaker that Vivian, unmarried and working as a book editor, had died of a heart ailment. The undertaker notified authorities, who determined that although Vivian had not been pregnant, Friedman had attempted to perform an abortion on her, causing her death. Friedman was charged with homicide and falsifying a death certificate. While out on bail pending trial for Vivian's death, Friedman resurfaced, charged with homicide in the September 11, 1962 death of Barbara C. Covington, age 35, a Florida socialite. from an abortion perpetrated by Dr. I have very scanty information about the January 20, 1846 death of Mary Ackerly of White Plains, New York. Mary was the illiterate, uneducated daughter of a poor family. So it was only natural that she would be won by the charms of Harry Nelson, "a person of considerable wealth and influence" who lived near Sing Sing, and who brought her to a brothel in New York and forced her to undergo the fatal abortion at the hands of Dr. Shove. On or around January 20, 1909, Florence Wright, a 34-year-old Black woman born in Kentucky, died in Chicago from complications of an illegal abortion performed on January 3. Midwife Louisa Achtenberg, a white woman, was held without bail for the crime of murder by abortion. She was indicted for murder but the source document doesn't indicate that there was a trial. Achtenberg was implicated in three other Chicago-area abortion deaths. On January 20, 1910, homemaker Elizabeth Lambacher, age 27, died in Chicago from an abortion. A nurse or midwife named Mrs. Hopp was indicted by a grand jury. The source document does not indicate that the case ever went to trial. According to Life Dynamics, "Andrea" Roe was 26 years old when she underwent a newly legalized abortion at a New York City abortion facility on January 12, 1971. After her abortion, Andrea contracted an infection. Her system was unable to fight the infection, and she died on January 20, 1971, leaving behind six children. Linda Fondren, age 21, had a safe and legal abortion performed by Mohammad Pourtabib at Pre-Birth in Chicago on New Years Day, 1974. She suffered bleeding, but Pourtabib did not provide follow-up care. Linda was admitted to Cook County Hospital, where doctors performed an emergency hysterectomy and provided care until her death on January 20. She left behind a small child. At the very beginning of 1880, Mary McCarty, wife of C.H. McCarty of New Haven, was the "unsuspecting and unfortunate victim of the criminal or culpably stupid operation" that ended her life. She was approximately 30 years old. Dr. Banks was arrested on Pine Island. On January 17, 1912, 38-year-old homemaker Minnie Miller died from an abortion perpetrated that day by Dr. C.W. Klinetop. Klintop was identified by Coroner's Verdict on January 26, but the case never went to trial. There are so many anniversaries today that I can only provide brief snippets. Click on each woman's name to learn more about how abortion was the last choice she ever made. On January 16, 1901, Jennie Mallard died at Alexian Brothers Hospital in Chicago from an abortion performed that day. Mrs. Margaret Simmons, who was either a nurse, a midwife, or a physician, was arrested and held in the death. Jennie Martin, a 28-year-old homemaker, died January 16, 1906 from complications of a criminal abortion. Dr. William F. Briney was held by the coroner's jury. Former abortion entrepreneur Carol Everett, in Blood Money, tells of how the abortionist in one of her clinics sent a woman home to bleed to death over a pitcher of margaritas. Carol opens her book with the story of the woman she calls "Sheryl Mason." At Life Dynamics, we did some detective work and found 34-year-old Shary Graham, who died January 16, 1982 after an abortion at one of Carol's Dallas-area abortion mills. Thirty-eight-year-old Pamela A. Wainwright was admitted to Shallowford Community Hospital in Dunwoody, Georgia on January 15, 1987, for an abortion and tubal ligation. Pamela was taken to the operating room for her surgery the next day. Dr. Wendell Phillips placed a needle into Pamela's abdomen to pump in carbon dioxide. He did not ensure proper placement of the needle. Instead of pumping carbon dioxide into her abdomen, he pumped it into her bloodstream. Pamela died almost immediately from cardiac arrest, due to vapor lock in her heart. On January 15, 1907, 24-year-old housekeeper Sarah M. Cushing died in Wesley Hospital in Chicago, from complications of a criminal abortion performed there that day. A midwife named Gertrude Plenz was arrested on January 24, and held by the coroner's jury. Mrs. Plenz was also arrested in the abortion death of Margaret McCarthy in 1904. On January 15, 1915, 22-year-old Margaret Jenickes died in Chicago after an abortion perpetrated that day, presumably by Dr. C.A. Erickson. Joseph Martin was also held. Though Erickson was indicted on February 1, the case never went to trial because the me wee exonerated by a Grand Jury. No other suspect in Margaret's death is mentioned in my sources. Eurice Agbagaa, a 26-year-old immigrant from Ghana, went to Abram Zelikman for a safe, legal abortion on January 7, 1989. After the abortion, Eurice bled so heavily that the receptionist, Yolanda Penalzer, became alarmed and asked Zelikman to do something. Zelikman told her that the bleeding was normal and that she should put an ice bag on the patient. He then left the facility, leaving Yolada to care for the patients in recovery. Yolanda tried repeatedly to reach Zelikman at his home, but couldn't contact him. Finally she called an ambulance. The ambulance crew found Yolanda performing CPR on Eurice, who was in shock from bleeding due to a perforated uterus and severed abdominal artery. Eurice remained in a coma until her death in the early morning of January 15. Today's anniversaries mark the benefits of safe, legal abortion to a teenage girl and a young woman. Christella Marie Forte, age 16, screamed, convulsed, and went into cardiac arrest 27 hours after instillation of saline for an abortion. at New Centre Hospital in Detroit on January 14, 1986. She died without ever expelling the 23-week fetus.The concentrated salt solution that had been injected into Christella's uterus to kill the fetus got into her bloodstream, poisoning her and causing cardiac arrest. What is particularly disgusting about Christella's death is how utterly needless it was: saline abortions had been discredited as far too dangerous for over a decade. The documents surrounding her death do not explain why her abortionist chose an outdated, high-risk procedure for his young patient. Twenty-two-year-old Chanelle Marion Bryant was given the drugs for a safe and legal chemical abortion at a Family Planning Associates Medical Group facility in California. She was instructed to use the prostaglandin as a suppository, rather than take an oral prostaglandin. This off-label use is being investigated by the CDC and FDA after Chanelle and four other US women died of infection after RU-486 abortions. Chanelle suffered terrible pain four days after self-administering the medication. She sought emergency care at Huntington Memorial Hospital, where she died during surgery. Chanelle had been perfectly healthy before her abortion, according to her mother, Lynn Bryant. Chanelle joined the sad ranks of women known to have died after FPA abortions: Denise Holmes,Mary Pena, Josefina Garcia, Lanice Dorsey, Joyce Ortenzio, Tami Suematsu, Christina Mora, Susan Levy,Patricia Chacon, Kimberly Neil, and Deanna Bell. 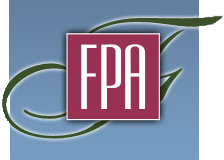 FPA is a member of the National Abortion Federation, an organization that ostensibly ensures that abortions are done safely. On January 13, 1911, 27-year-old homemaker Rauha Wilen died at the scene of an abortion. Midwife Mary Rominel was arrested and indicted by a grand jury. On January 13, 1915, 23-year-old Mrs. Beulah Rehm died at Wesley Hospital after an abortion perpetrated at Dr. A.L. Blunt's Chicago practice. Blunt was held by the Coroner but the case never went to trial. He did, however, eventually end up in Leavenworth for drug dealing. 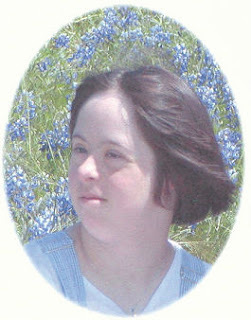 Moving forward in time to the safe, legal days of competent, compassionate abortion care, we have the case of Christin Gilbert (pictured), a 19-year-old woman with Down Syndrome pregnant through sexual abuse by an undetermined perpetrator. Christin's parents brought her to George Tiller's late-term abortion practice in Wichita, where they cared for her themselves in a motel room between visits to the facility for the various steps in achieving the death and expulsion of Christin's unborn baby. In spite of serious complications, Christin was not taken to the hospital until she stopped breathing in Tiller's clinic, under the care of that other hero doctor of legal abortion supporters, LeRoy Carhart. Clinic staff lied to 911 about Christin's condition, and when medics arrived Carhart was being so inept in his attempts at resuscitation that he was mistaken for a bystander. Christin was taken to a hospital but the damage was done and she died on January 13, 2005. On January 12, 1900, Mrs. Ida Henry, age 26, died at the home she shared with Dr. Paulina Bechtel, from complications of an abortion Bechtel had performed on her there that day. Bechtel was held by the Coroner's Jury. Bechtel was also implicated in the death of Barbara Shelgren shortly thereafter, but was identified as a midwife in that case. According to Leslie Reagan, author of When Abortion Was a Crime, it was common for female physicians to be misidentified as midwives, particularly if they practiced obstetrics. Bechtel went on to kill Mary Thorning in 1911. On January 12, 1912, 19-year-old Lottie Roeder died at St. Elizabeth's hospital from an abortion perpetrated on January 5 by a nurse/midwife referred to as "Mrs. Theodore Larson." Larson was held by the Coroner's Jury on January 12 and indicted, but the case never went to trial. Shirley Williams was 30 years old when she underwent a safe and legal abortion in January of 1980. On January 12, she was pronounced dead, from hemorrhage. Former criminal abortionist and prochoice hero Milan Vuitch (pictured) had been operating his clinic without a license for two years when 32-year-old Georgianna "Jeannie" English came to him for a safe and legal abortion on January 12, 1980. Vuitch administered general anesthesia for Jeannie, and she never woke up. She was transported to a nearby hospital where she died. Vuitch settled with Jeannie's family for $150,000. When Vuitch was investigated, it was discovered that he kept patients overnight in his home (an unlicensed facility) which he designated "The Annexe." Inspectors also noted repeated violations of medical standards regarding sanitation and anesthesia. Vuitch also admitted during another case that he had lacked hospital admitting privileges since 1963. Vuitch was also responsible for the 1974 abortion death of 17-year-old Wilma Harris. Vuitch is one of three abortionists I know of who started out as criminal abortionists with clean records -- no patient deaths attributed to them -- who went on to kill two patient by performing the supposedly safer legal abortions. They are Jesse Ketchum (Margaret Smith and Carole Schaner) and Benjamin Munson (Linda Padfield and Yvonne Mesteth). Today's first death is one of the illegal kind the abortion lobby gets upset about. The second is of the safe and legal kind that are dismissed with, "All surgery has risks." On January 9, 1918, 39-year-old Mary Cusack nee Kelly, a widowed homemaker, died at Chicago's West Side Hospital from an abortion perpetrated that day by Dr. William A. McFarlane. He was indicted on January 15, 1918, but the case never went to trial. Mary was an immigrant from Ireland. Note, please, that with overall public health issues such as doctors not using proper aseptic techniques, lack of access to blood transfusions and antibiotics, and overall poor health to begin with, there was likely little difference between the performance of a legal abortion and illegal practice. In fact, due to improvements in addressing these problems, maternal mortality in general (and abortion mortality with it) fell dramatically in the 20th Century, decades before Roe vs. Wade legalized abortion across America. Life Dynamics lists 17-year-old Sharon Davis on their "Blackmun Wall" of women killed by safe and legal abortions. Life Dynamics says that Sharon was a high school student, 14 weeks pregnant, when she submitted to an abortion at a hospital in Tucumcari, New Mexico on September 20, 1982. Her uterus and bowel were perforated, and she developed an infection. For over three months, she was treated for her infection before she died on January 9, 1983. On January 8, 1918, 20-year-old homemaker Margaret Marie Balch, nee Farnsworth, died in a Chicago home from an abortion perpetrated by a person who was never identified. With overall public health issues such as doctors not using proper aseptic techniques, lack of access to blood transfusions and antibiotics, and overall poor health to begin with, abortion, like any invasion of the body by outside instruments, was far more likely to cause death than it is today. In fact, due to improvements in addressing these problems, maternal mortality in general (and abortion mortality with it) fell dramatically in the 20th Century, decades before Roe vs. Wade legalized abortion across America. And as you can see, even after legalization, women continue to die from abortions. Twenty-five-year-old Rita G. Goncalves took ill after her safe and legal abortion in late 1983. At some point after her abortion, she was taken to Roger Williams General Hospital in Pawtucket, Rhode Island. There, she died on January 8, 1984, from abortion complications. So little information is available about her death that I can not conclude whether this was a case of malpractice or just an example of, as abortion advocates love to point out when confronted with safe, legal abortion deaths, "All surgery has risks." The same can not be said about the January 8, 2004 death of 15-year-old Tamiia Russell (pictured), who was pregnant as a result of sexual exploitation by Stacy Glenn, a man nearly ten years her senior. Glenn's sister, Taish, hauled Tamiia around Detroit to one abortion facility after the other, looking for somebody willing to perform an abortion very late in the pregnancy. Tamiia's pregnancy was so far advanced, in fact, that one abortion facility offered her prenatal vitamins. Finally, National Abortion Federation member clinic Woman Care, run by Medical Students for Choice hero Abraham Alberto Hodari, agreed to abort Tamiia's six-month pregnancy, taking the proffered ID of an older teen, who looked nothing like Tamiia, to circumvent Michigan's parental consent law. Laminaria were inserted to dilate Tamiia's cervix, and she was sent home. Only then did her mother learn of the abortion-in-progress. She called Woman Care, wanting to have the laminaria removed and her unborn grandchild saved. Woman Care lied, telling her that Tamiia would die if the abortion was not completed. Tamiia's reluctant mother took her in for the procedure and took her bleeding daughter home. Woman Care dismissed calls reporting excessive bleeding, and instructed Tamiia's family not to take her to a hospital. They ignored these instructions and called an ambulance, but Tamiaa was dead on arrival from hemorrhage. On January 7, 1901, 21-year-old Juliet K. Pottinger (alt. Julia K. Pettinger) died in her home at 520 Wood St., Chicago, from an abortion performed there that day. Dr. Maggie Becker was arrested April 24, based on a coroner's verdict that day. Juliet had been a homemaker. Her husband, 23-year-old James A. Pottinger, was left to raise their toddler daughter. Becker was held to grand jury, tried, convicted, and sentenced to 14 years in Joilet Penitentiary. Julia's abortion was typical of criminal abortions in that it was performed by a physician. The January 7, 1922 death of Irene Michaelson of Philadelphia presents ground for head-scratching. Irene reportedly died of peritonitis at City Hospital in Atlantic City, New Jersey, after leaping from the second-story window of the Bricker Sanitarium, "in the heart of the most exclusive residential section of Atlantic City." Dr. William H. Bricker Jr., of Philadelphia and Atlantic City, was was captured in Philadelphia. At trial, he, was found guilty of performing the abortion that killed Irene and was sentenced to 10 to 15 years in prison, and fined $5,000. News coverage says, "Bricker collapsed when sentence was pronounced." 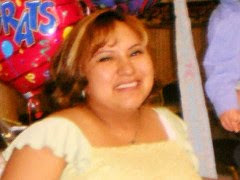 Twenty-eight-year-old Ida Vierow was found dead in a ditch near Dunning, Illinois. It was determined that she had died January 6, 1905, from an abortion performed in Chicago. Two midwives, Amella Maichrowicz and Anna Becker, were arrested, along with Maichrowicz's husband, Joseph. On December 30, 1923, 26-year-old Helen Koss underwent an illegal abortion somewhere in Chicago. On January 6, 1924, she died at Norwegian American Hospital of complications. Midwife Mrs. Emma Morch was arrested, and indicted for homicide by a grand jury. Helen, the daughter of German immigrants Carl and Rose Koss, lived with her widowed mother and three grown siblings. She worked as a clerk in an office. Margaret Crowe, age 25, died from Dr. Anna Sorenson's dubious care at Chicago's Norwegian Deaconnes Hospital on January 2, 1918. Mary Strugnall, age 17, died January 2, 1929 from an abortion performed that day by Dr. Joseph A. Harter. Harter was held by the coroner on February 28. His brother, a student named Irving Harter, and Vernon Keyser, the baby's father, were arrested as accessories. "Amy" is one of the women Life Dynamics identifies on their "Blackmun Wall" as having been killed by a safe and legal abortion. Amy was 35 years old when she had a legal abortion December 24, 1970. She was 14 weeks pregnant. During the abortion, Amy suffered from a massive pulmonary embolism. Efforts to save her life finally failed, and she died on January 2, 1971, leaving behind two children. Sherry Emry's friends were worried about her as 1977 rolled over into 1978. She'd been sick, unable to rise from bed, pale and sleeping fitfully, with chills and sweating. They came to check on her as the day started on January 2, and found her dead in her bed. The autopsy found that she had bled to death from an undiagnosed ectopic pregnancy. The coroner blamed Sherry's death on the fact that Arnold Bickham's Water Tower Reproductive Center in Chicago, where Sherry had submitted to an abortion on December 28, threw fetal remains away without a pathology analysis. The police found that Sherry had a receipt from Water Tower indicating a $50 discount. They hypothesized that staff might have noted the lack of a fetus in the aspirator, concluded that Sherry hadn't been pregnant, and given her a partial refund rather than provide her with the follow up care that would have saved her life. Sherry wasn't the only woman to die after abortion in a Bickham facility. Sylvia Moore, age 18, died after Bickham (pictured) shoved her out the door of his clinic New Years Eve of 1986. Bickham was eventually drummed out of the medical profession, and became a high school principal. I'm still tracking down information about his less-than-stellar post-abortion career. But at least he stopped killing people for a living.